fervently calm, smothered in rage. as if that would cover my needs. at the one you thought was in there. your ornament, trapped and tethered. alone in the vivid black night. kindly guiding me with their care. for someone to decide my fate. my heart fluttered, my soul implored. my wings carried me to the sky. 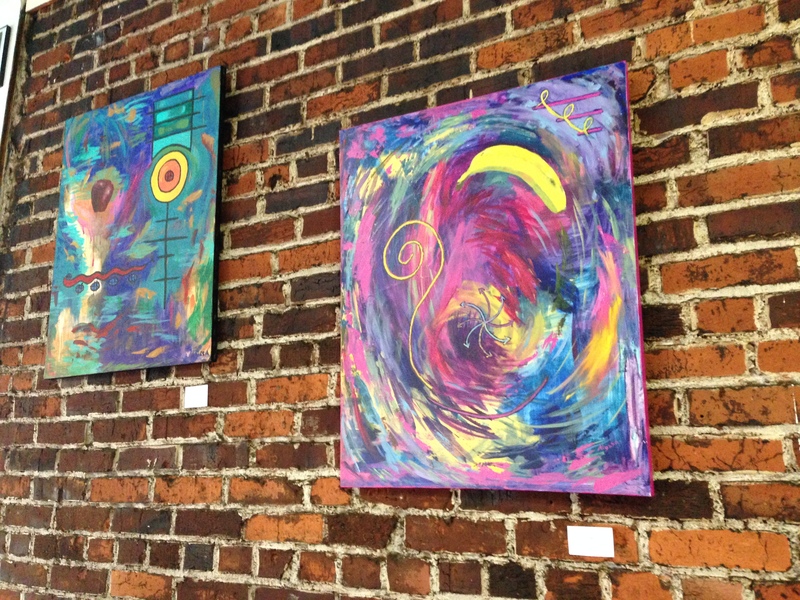 If you missed my paintings when they hung at CMA Gallery, you can now see them at Gordito’s in Greenwood, minus the three that sold from the last show. I always wanted to see how my Fruit Voodoodles would look with a brick wall backdrop, and I’d say they look pretty good. Also I’ve updated my blog with a new category of humorous mayhem and a page for my older paintings. Clicking the vault tag will now bring up my poetry from ancient times (i.e. the early 1990s).